To feel libertarian and think as an anarchist is not necessary to have read Bakunin, Kropotkin and Proudhon. In the same way, you don’t need to be an expert in sailing literature to repair a boat and become an offshore nomad. Yet, I was excited to discover that many of the subjects I care about (like life on board as an escape from our society, sailing with little or no money, D.I.Y. boat construction, etc.) are more or less explicitly dealt with in many of the classics by the most famous sailors. 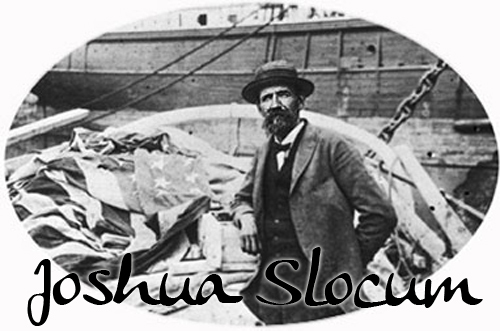 Even Joshua Slocum, the very first man who sailed alone around the world, in 1895, was given his vessel as a wreck, and rebuilt it by himself. Despite having been a captain of commercial vessels for a long time, when he planned his trip he lacked the money for a chronometer, and relied on traditional dead reckoning for longitude, using only a cheap tin clock for approximate time, and noon-sun sights for latitude. On many levels, he was a freak: in those days the seas were only crossed by commercial vessels, fishing boats and naval ships (1). Nobody understood a man sailing for pleasure, and to do it single handed was considered simply insane. Thirty years later the white man’s yoke was well established across the whole of Polynesia. Alain Gerbault, another single handed sailor, and the first Frenchman to circumnavigate the globe, became fascinated by ancient tribal society. He embraced the cause of aboriginals and used his popularity and his books to denounce “the fatal influence of white and Christian civilization over the primitive races” (4). If you visit, like I did, lot of countries, you will be left aghast by the incredible pretension of the white man who imposes everywhere his habits and his strange conception of existence. It has always been thus. Faced with the “conquistadores”, Inca civilization disappeared, despite being the best model of social organization ever achieved. Aztec civilization went the same way, though they were largely superior to the invaders in the science of astronomy and the art of sculpture. We must see that the Polynesians do not go the same way as the Caribbean civilizations, to the shame of a white race that did not want to understand how those aboriginals, happy and without needs, were also superior in the science of living well. Our civilization did not want to learn the lesson given by those tribes. Despite its mechanical and scientific development, the false ideal, the conquest of money and the fictitious pleasures that it brings, oppresses individual happiness. That’s why it is showing signs of decline, and it will disappear as all other civilizations did. Nevertheless, in recent years, we see a light of hope: many people start to understand that happiness lies in an approach to nature and in a suppression of needs, and that’s the only thing that may save our civilization from ruin. 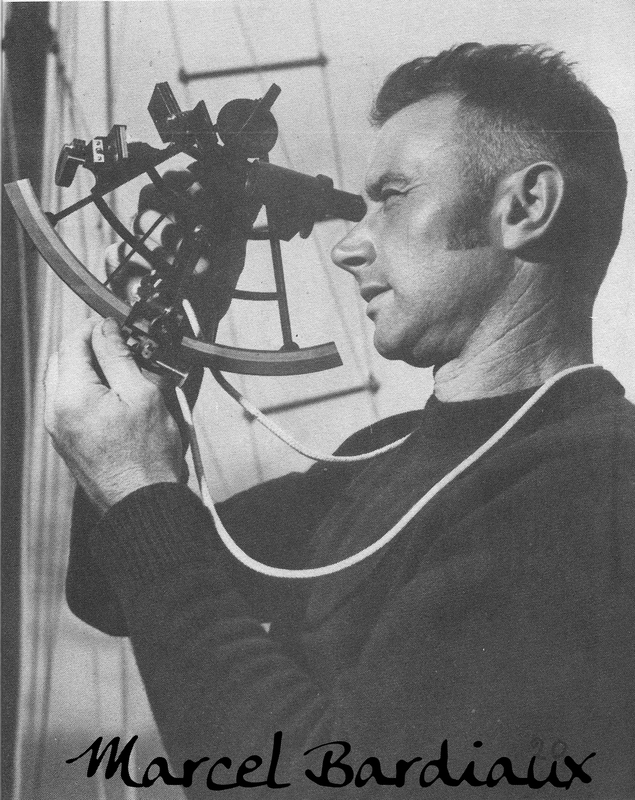 (5) …Zerzan would love that! And it’s dated 1928! 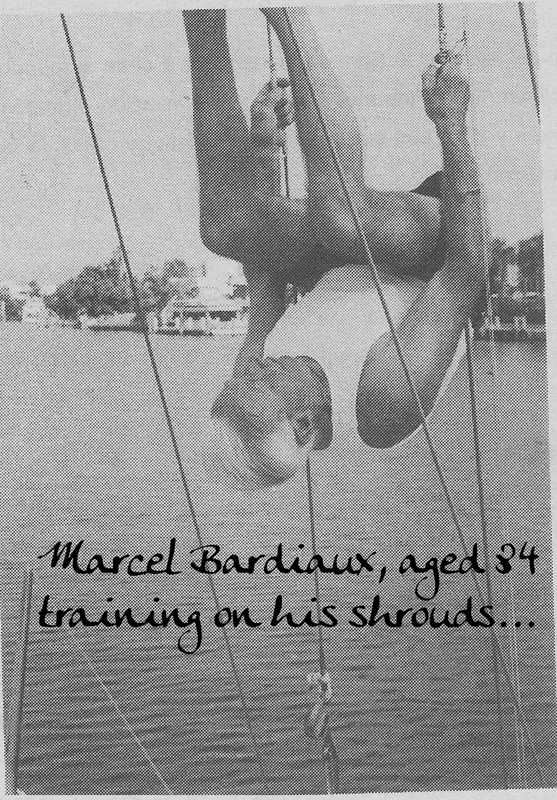 In spite of his mentor, Marcel Bardiaux had no affection for alcohol; on the contrary, as a non-smoker, vegetarian and relentless procurer of natural therapies, he went on sailing single handed until he was 88 years old (when he crossed the Atlantic for his 40th time), with an impressive trail of 400,000 nautical miles (more than 18 times the circumference of the Earth!). His first writings were well received, and provided enough for him to build a stainless steel vessel designed to resist to any weather conditions, and require minimum maintenance (7). However, his later books never reached a wider public. They were D.I.Y. print runs that he would sell personally during his stopovers. 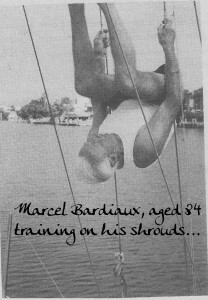 Bardiaux was too radical and polemical to become a mass idol, and despite his incredible life and extensive writings, he eventually died alone. Moitessier uses the radical expression “prostitute myself ” to say “getting employed”. He actually knew what he was talking about, because he had just spent two years in South Africa “working as forced labour” to finance his voyage. 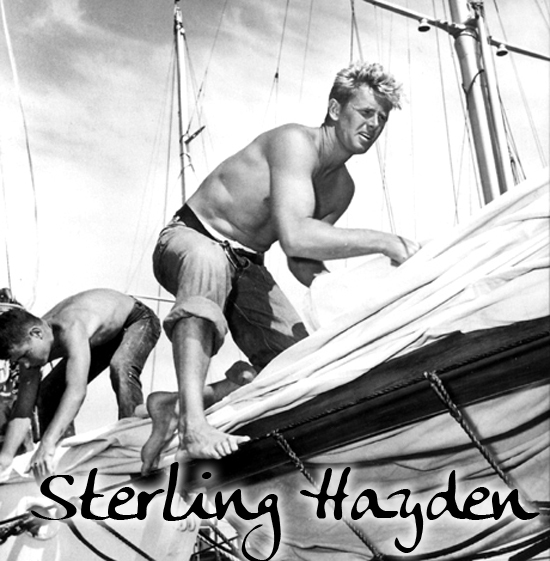 But he never did the same job twice, “because one of the features of my character is to always avoid the specialization, preferring sufficient mastery in as many activities as possible.” (12) In addition to being a talented writer, this bohemian sailor was a free diver and a swimming champion, he has experimented with permaculture in the atolls, boat construction by any means (including wood+papier-mache! ), and worked at everything from plantation manager to carpenter, mechanic, door-to-door salesman, sailing teacher, etc. 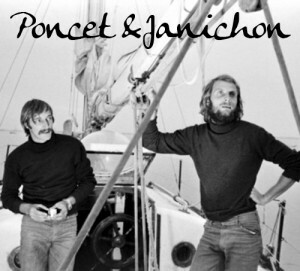 In 1974, Gérard Janichon published a volume about their voyage, selling more than 150,000 copies. 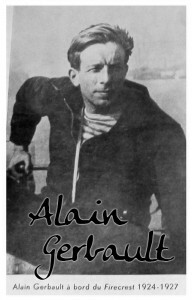 He went on sailing and lead an adventurous life, while becoming a confirmed writer and novelist. 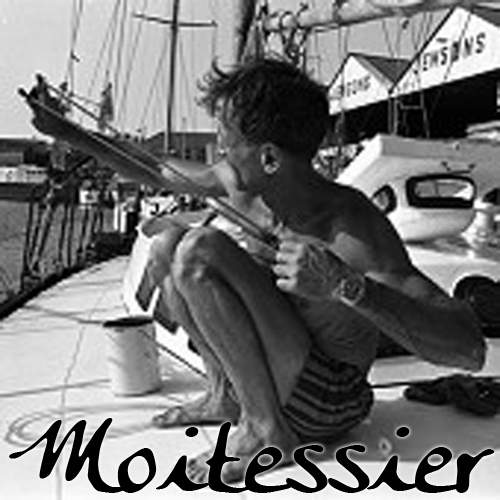 Off course, since the sixties, many more people decided to live on sail boats, seeking freedom at sea, and this culture is still alive, at least in France, where in any harbor you can find some freaky sailor (with his old-school vessel, and the typical plexiglass dome on the roof…). Furthermore, lately, more and more mates from the €uropean squatter movement started to head out to sea, sick off so much repression and looking for an healthier life-style… One month ago, they even squatted an abandoned shipyard in Bretagne, near Brest (21)… Are we going to see the proliferation of some sort of punk-sailor T.A.Z? Will the the nautical nomadism ideal grew and develop a proper identity like the traveller’s movement did ashore in the ’80? There will be squatted peers, meetings and festivals all over the seas? Blending the latest technologies with ancient knowhow, could we sew the seeds of a nautical utopia? Maybe a nomad community with several settlements on remote islands? A floating network of wandering sailors, heirs to the bucaneer’s tradition, who share resources and ideals? In the last century, Gerbault, Bardiaux, Moitessier, Janichon and Goudis have been among the greatest examples of freedom at sea and critic thinking. 1) Yachting already existed, the firsts yacht clubs dating back to the XVIII century, but it was an activity reserved to the highest aristocracy… and of course the yachts where handled by a full crew! 2) Robert Louis Stevenson’s widow, who Slocum met in Upolu, Samoa. 3) From “Sailing Alone around the World” -Capt Joshua Slocum- Penguin Classics, page 138. 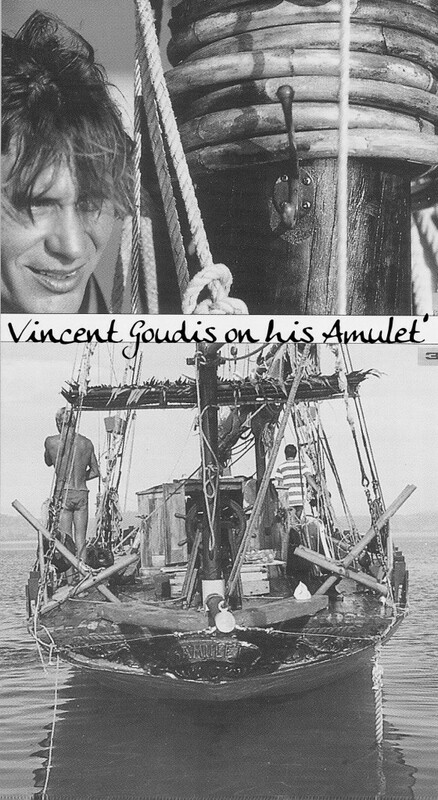 19) From “Bleu Sauvage” – Vincent Goudis – Albin Michel 1991. Page 122. Thanks for ask… As you can see, this is a no commercial web page, and we often pick up pictures and contents from books or other web sites: we don’t mind too much about copyright issues. I really can’t remember where I found that old picture of Jérôme and Gérard, but I guess that nobody will be annoyed if you use it! Cheers Metello, that’s great news. I really liked the sight, it provided a great insight to Jérôme’s life prior to interviewing him also. Thanks for the good work. A swell piece. Surprised though you didn’t also write about George Dibbern.